Axios NYC was proud to collaborate with the Christopher and Dana Reeve Foundation and 360i on an incredible mission — to adapt popular toys to enable people with physical disabilities to experience the joy of actively participating in play with their families. We developed a remote control car and a pitching machine that were equipped with voice activations systems, motion sensors. And sip-and-puff (SNP) assistive technology. The remote control car is powered by a headset equipped with a straw-like cylinder into which users can exhale or inhale to accelerate or reverse the car’s movements. Motion sensors on the headset steer the car left or right, responding to the user’s head movement. 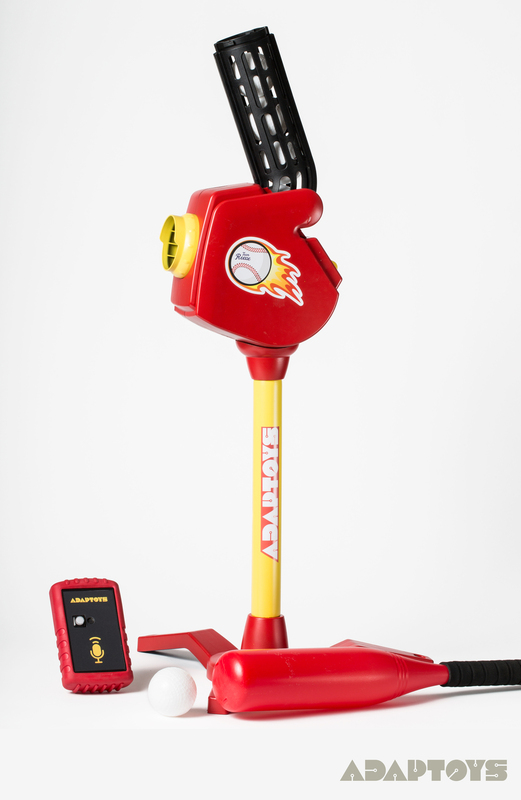 The voice-controlled pitching machine throws a ball on the user’s command. © 2017 Axios NYC. All Rights Reserved.